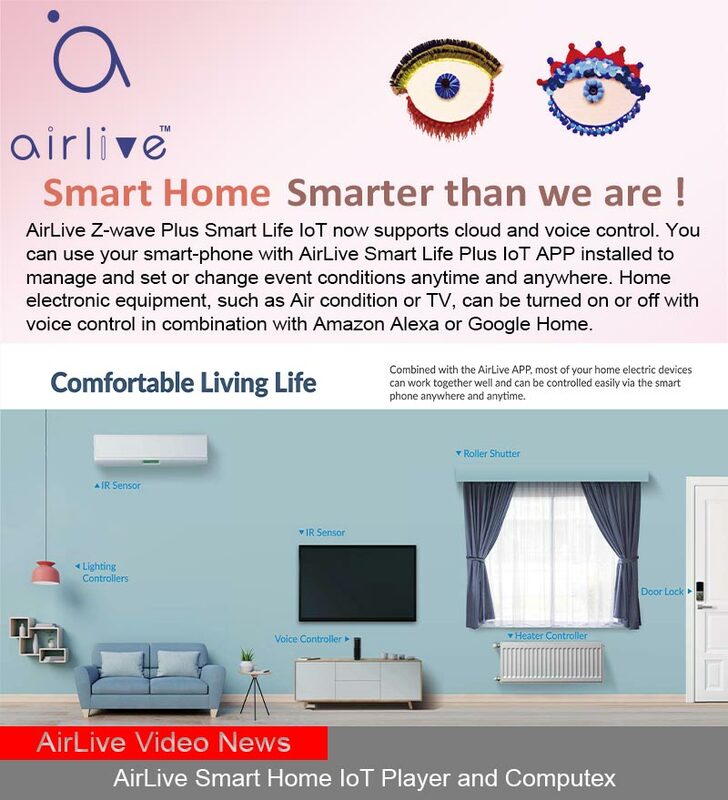 HomeNewsEventSmart Home Smarter than we are ! 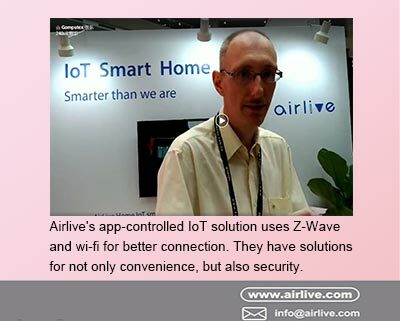 AirLive Z-wave Plus Smart Life IoT now supports cloud and voice control. 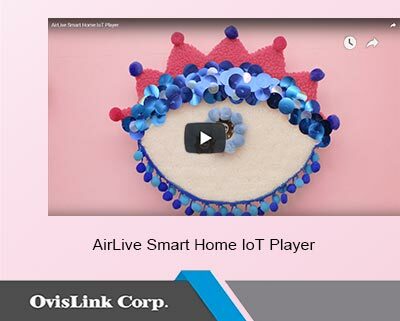 You can use your smart-phone with AirLive Smart Life Plus IoT APP installed to manage and set or change event conditions anytime and anywhere. Home electronic equipment, such as Air condition or TV, can be turned on or off with voice control in combination with Amazon Alexa or Google Home.